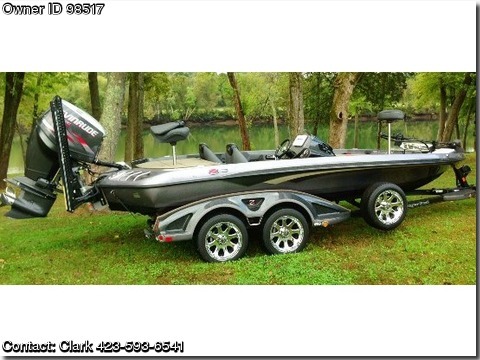 Please contact owner Clark at 423-593-six five four one. Boat is located in Chattanooga, Tennessee. 2013 Ranger 520C, 2013 Ranger Z520C,Like new, Always garage kept 2013 Ranger 520C fully loaded with touch screen Lowrance HDS9 at the helm and HDS 10 at the bow. Ranger trailer with custom chrome wheels. Security lock bar for rod and tackle storage areas. Warranty til 12-2015 on engine. Two power poles with remote.